The final character class in Tuque Games' upcoming co-op shooter, Livelock, has been revealed. 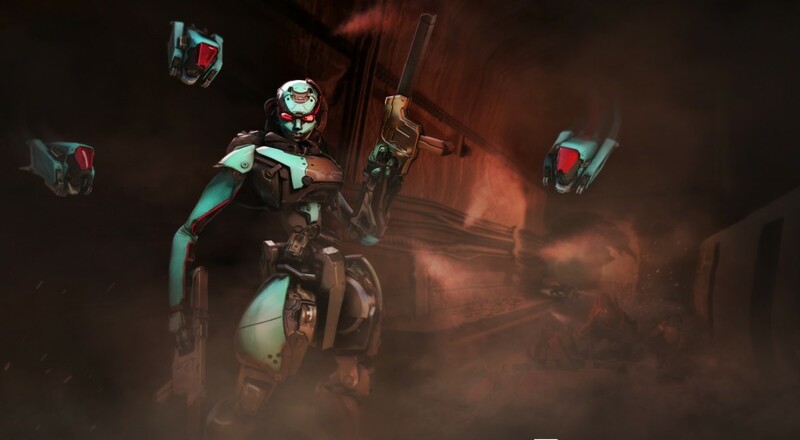 Catalyst joins Hex (the damage dealer) and Vanguard (the tank) as the support class, with a gun that heals her teammates and a squad of drones to distract and disable enemies. Catalyst has three guns she can use in combat: Forge, Arc, and the Pulse Launcher. The first of those, Forge, is the big one for her class as it appears to apply a debuff on enemies or heal teammates (depending on at whom she's pointing the beam). The Arc looks like a kind of electric/lightning gun while the Pulse Launcher is akin to a grenade launcher. On the ability side of things, she can deploy a drone that stops incoming enemy fire, or she can shoot off a "temporal rift" that groups the enemies up into one spot for a good opportunity to knock them all out at once. Livelock still doesn't have a firm release date, but it will be headed to the PC, PlayStation 4, and Xbox One sometime this year with three player online or local co-op. Page created in 0.2648 seconds.